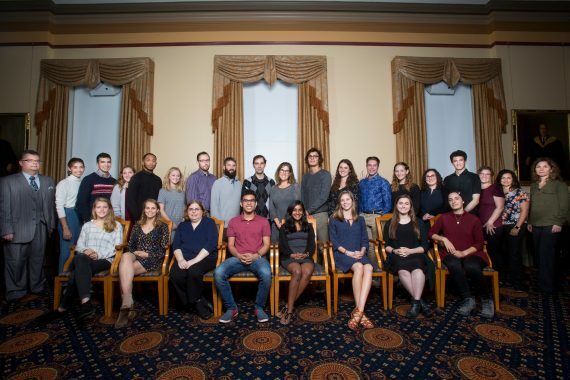 The Laidlaw Undergraduate Research and Leadership Program provides students with hands-on research experience to prepare them to serve as future leaders in their respective fields. The program is made possible by the generous funding of Lord Irvine Laidlaw of Rothiemay. 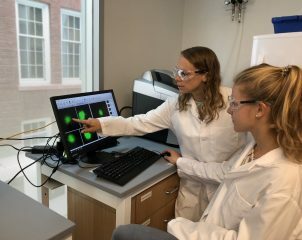 The Laidlaw Scholarship funds undergraduate students over the course of two consecutive summers to pursue a research project of their choosing. Scholars are supported for up to six weeks each summer, working closely with a faculty mentor of their choosing. Faculty mentors must be Tufts faculty, and can come from any of the University’s schools. Research projects can focus on a variety of topics. Projects may also have an international focus, in which case scholars could spend all or part of their second summer researching abroad. Students may also apply as part of a team working on a common research question. Laidlaw Scholars also participate in activities to promote their development as leaders, including workshops, trainings, and other more informal mentoring opportunities. Following completion of the program, scholars will receive a transcript notation identifying them as a Laidlaw Scholar. Scholars at Tufts University will be a part of a broader community of Laidlaw Scholars. Partner programs exist at Columbia University, Durham University, the National University of Singapore, Trinity College Dublin, the University of Oxford, the University of St. Andrews, The University of Hong Kong, The University of Toronto, the University of York, the University of Leeds, and the University College London. Learn more about the Laidlaw Scholar program here.